Make your home stand out with us. Who you work with matters. Today's technology makes it easier than ever for consumers to view any house for sale online. As agents, we can enter a home into the MLS, click a button, and watch it automatically appear on Zillow, Trulia, Realtor.com and more. That can also make it harder for buyers to distinguish one listing from another. We wanted our listings to stand out from the crowd, so we decided to keep pushing. We offer professional photography for every home. You will have an individual property website where buyers can have an online experience with your home. We consider this the first showing and it's important. We also feature you on judymitchellgroup.com, williampitt.com, and exclusively on sothebysrealty.com. You are searchable on The New York Times and Wall Street Journal sites as well. The biggest reason we're able to attract so much attention is because we can control the presentation of your house online. 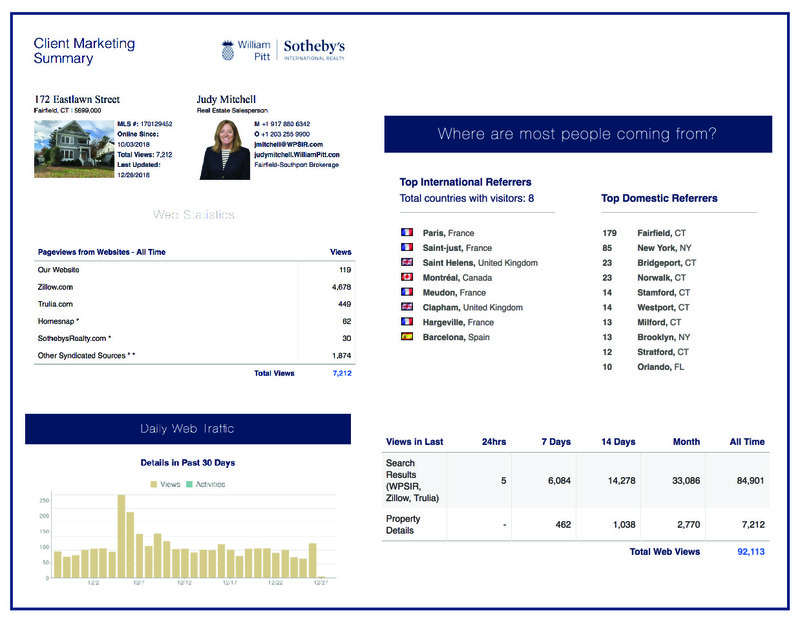 When we send your home to our buyers, we can see who shows the most interest. We are experts at Facebook, Instagram and Youtube marketing. How do we get buyers to our website to see it? We employ a few different strategies, but chief among them is Facebook, Instagram, and Youtube marketing. This is a specific paid strategy that far exceeds typical posting. We understand people don't go to social sites to buy a home. But we know the people who are buying homes are on facebook. We provide digital activity reports for our clients. 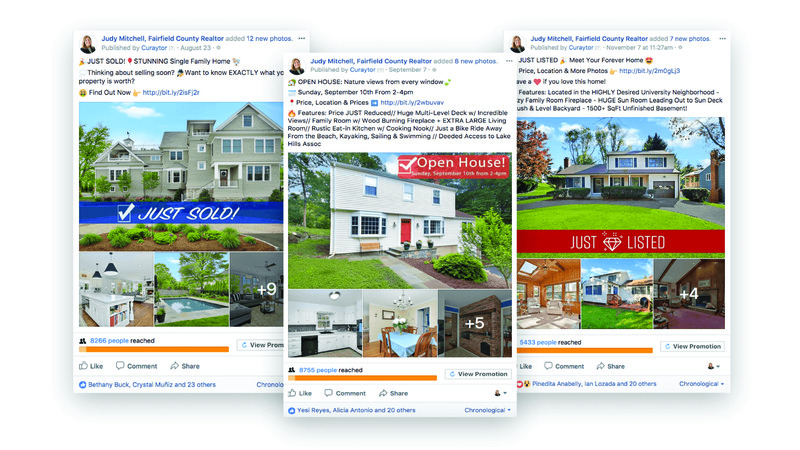 Keeping you up to date on all the marketing aspects of your listing and how you fare within the current inventory is important data. We stay on top of this for you and share with you our findings. The metics help us craft our marketing and adveritsing strategy. Want to learn more about how we sell and market homes? Call Judy for an appointment at 203-293-0039.